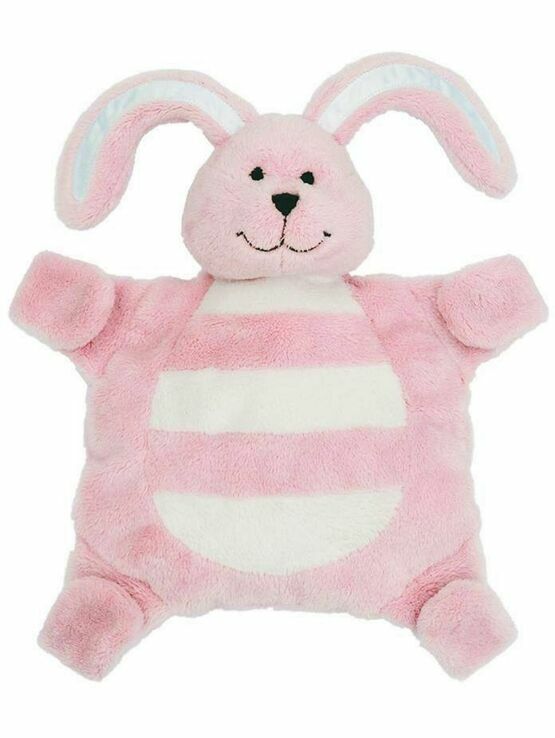 Sleepytot's award winning bunny baby comforters have little Velcro paws which can hold onto dummies, soothers or teethers. 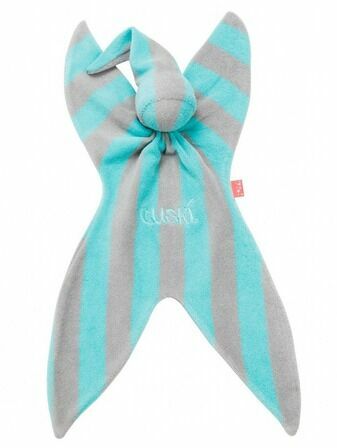 The Millpond Child Sleep Clinic recommend them as a way of helping little ones find their dummies easily at night and return to sleep without fully waking. 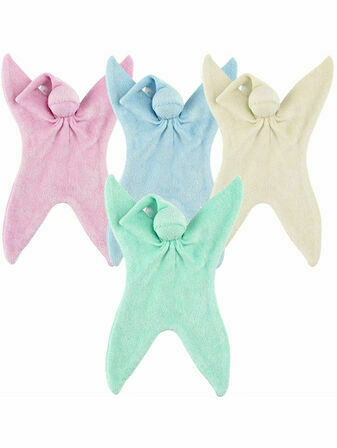 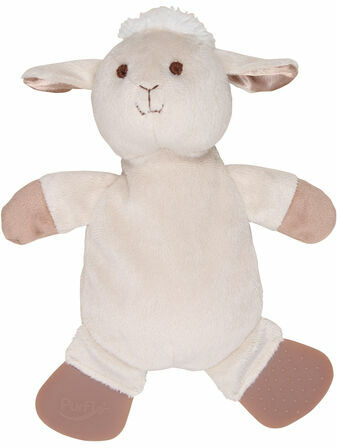 Sleepytot has little velcro paws that hold things like dummies and teethers to comfort and soothe your baby. 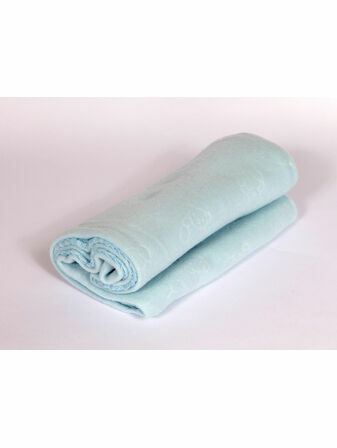 He can hang onto cot bars, allowing him to comfort baby safely and soundly - right from birth! 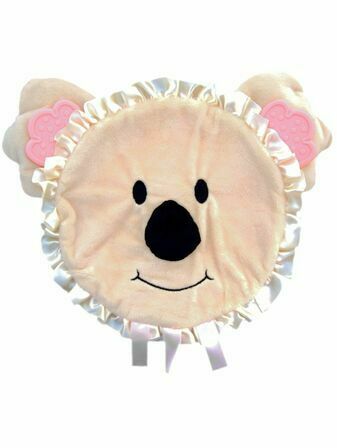 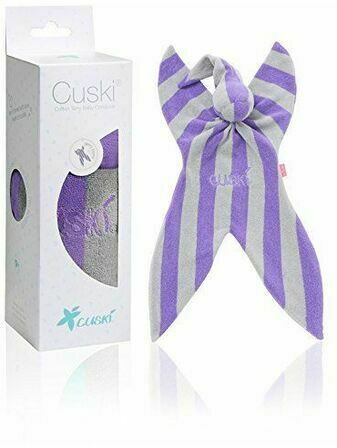 He’s a perfect pillow for little heads on hard surfaces like changing tables and supermarket trolleys, and he can hold dummies so don’t get lost at night anymore, helping everyone get a good night’s sleep! 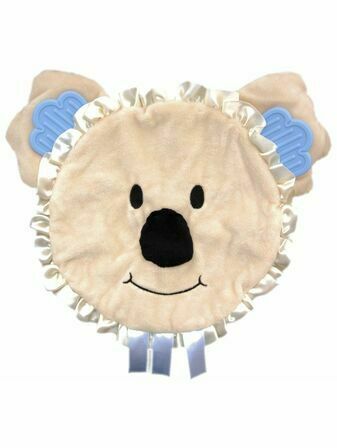 Lastly he can grab onto baby’s car seat or buggy strap when you’re out and about so he never gets lost. 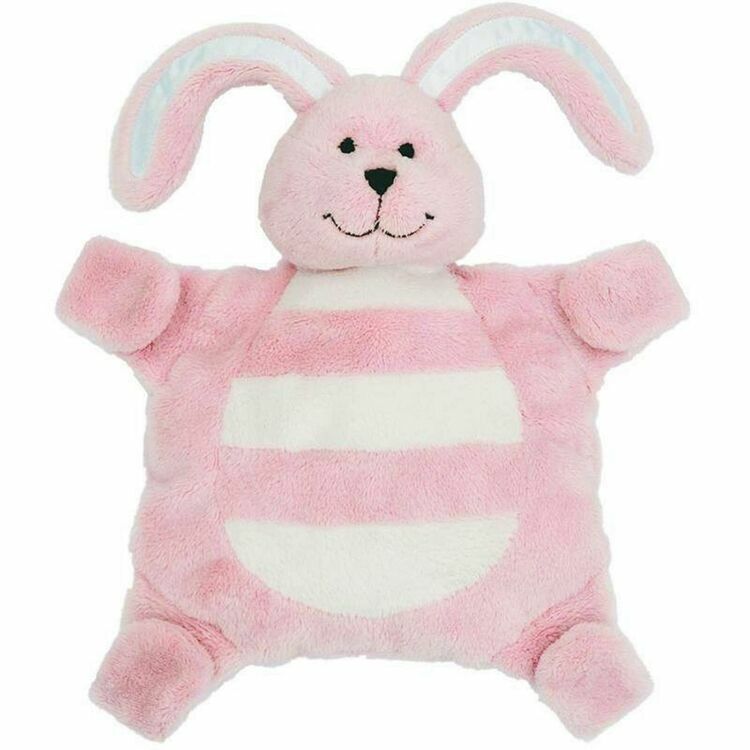 He makes it easier for babies and toddlers to give up their dummies, when the time comes, and even toddlers love him because there are so many ways to play with his paws; simply open the paws and attach a soother or teether and close the paws again.